New York City is the city that never sleeps. I live and work as a tour guide in NYC, helping visitors tour New York so I absolutely know that it never stops – not even for a moment! Day 1. Start with a tour of New York City. If you have two, three or more days to explore New York City – I’d suggest you start with a tour. I do this myself when I travel to other cities on vacation. It is the best way to find your bearings. It also saves time because you will be transported to the sights directly. Although it saves time, I don’t think it feels rushed in any way. With a tour operator like Gray Line New York, you can even Hop-Off and Hop-On again at stops at major sights. You can find out more about this at our website: graylinenewyork.com. By taking a tour of the city, you might get some ideas on what sights you want to go back and see more of during your trip. Evening 1. Have a ‘night on the town’. Take some time to experience New York at nighttime. 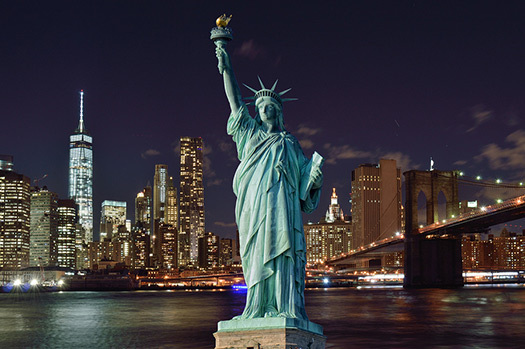 I would recommend that you take advantage of some of the lovely tours on offer that will show you New York at night. Working with a tour guide means you’ll get the very best views of the city and there are some spectacular sights in New York after dark. Your tour guide will know exactly where to find them. Then, you can finish the night off with something like a dinner and then a cruise for close up views of the beautiful Statue of Liberty. If you like the sound of this, check out Gray Line New York’s ‘Night on the town’ cruise. If you like the idea of doing a city wide tour on Day 1, it might be worth your while to get a 48 hour (or more) Hop-On Hop-Off ticket, as you can then use this throughout your stay. On Day 2, you could get back on the bus and stop off at your priority sights, or the ones you saw the previous day that made you want to go back for more. The itinerary I often suggest to those on a short stay in New York, is to head to Brooklyn Bridge on day 2. Stop and soak up the iconic structure. Perhaps take a picture of the bridge and the New York City skyline in the background. You can walk over into Brooklyn and explore the DUMBO area if you have time. Next, my suggestion would be to pick up our Hop-On, Hop-Off service and head for the Empire State Building. The view it offers is stunning. Also, since you did your citywide tour of New York City yesterday, you will know exactly where to look to see the city’s main landmarks. I get goose bumps every time I visit. The Empire State also has a beautiful art deco interior. My top tip would be to get here in the morning or around lunch to avoid the queues. However, if you prefer to look at the city skyline with the Empire State Building in it, then you could do the same from the Rockefeller Centre – and head to their observation deck. Next, I’d suggest setting off to see Grand Central Terminal – our beautiful train station. Yes, it is a train station – but it is glorious to look at! There is a restaurant downstairs if you are hungry. Evening 2. Dinner and a show. Finally, head to Times Square to finish the day off. There are numerous restaurants around the square – you’re sure to be hungry by now. To finish the day off, it might be an idea to book ahead and see a Broadway, or off-Broadway show. You really need to see a show when you visit New York City. I’d recommend teaming a visit to Central Park with a stop at the museums in that area. You could start the morning off at the American Museum of Natural History. There is SO much to see here you could spend the entire day, so I do think it’s best to plan your visit before you go. A top tip would be to check out the planetarium and the space exhibition. I could dedicate the whole blog to the museum to be honest! 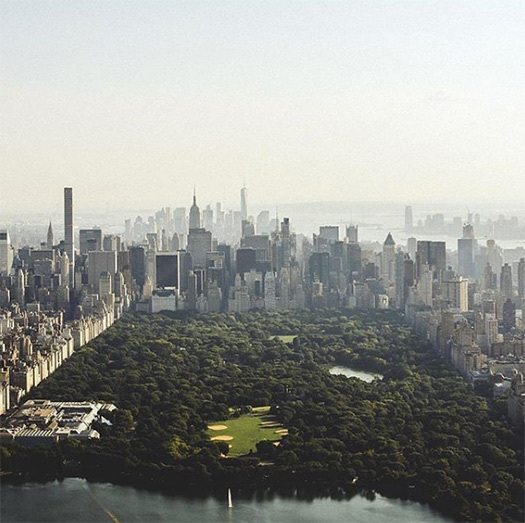 Next – you could go to Central Park for a picnic. The park itself is huge. And much like the museum, you could spend the day here, too. There are guided tours of the park on offer. The zoo is based here also – or in summer there are lots of outdoor shows, including a whole summer season of Shakespeare in the Park – but you’ll need to book ahead as it is popular! After lunch, check out the Metropolitan Museum of Art. It would be easy to spend the whole afternoon here too, as it is one of the largest art museums in the world. Much like the Natural History Museum, you would be best to plan your visit in advance and priorities what you really must see. Alternatively, the other museums in and around the park include the Guggenheim Museum for impressionist, post impressionist, early modern and modern art. Also – the architecture of the building itself is very impressive. Or there’s the Museum of the City of New York – full of the story of New York City or indeed the Frick Collection on Fifth Avenue which is full of European art collections. Continuing on the park theme, I love the High Line Park, especially at dusk or after dark. This public park is built along an old freight line that ran above the city. It’s on the west side of Manhattan. Since it is elevated, it’s gives a unique perspective of the area. After dark, the features and plants are lit up. Added to the twinkling lights of the city, it is one of my favorite places to see with friends who visit New York City. It’s not one of the most famous attractions, but it is very different and just as beautiful. If you are planning a short trip to NYC, then I think it’s a good idea to work with a tour operator to make the most of your time here. Time is tight, and there’s so much to see, so a tour operator will help you get your bearings quickly, get you from A to B faster, but without being rushed or missing any of the experience along the way. Working with someone like us at Gray Line New York also offers huge flexibility with options like our Hop-On Hop Off bus tours or Hop-On Hop –Off Ferry tours as you can use them throughout the length of your stay – which I think is genuinely more cost effective. So, please visit our website at: graylinenewyork.com for more information on our tours. There you’ll find the tours of New York relevant to the suggested itinerary I’ve mentioned in this blog, or alternative options to built up your own itinerary for a short stay in NYC. “We did the 48 hour hop on hop off tour of New York with all routes. All of the narrator / guides were very knowledgeable, personable and helpful. It was an outstanding way to get your bearings in regards to where different attractions were, which made it easier to pick the places where we wanted to spend more time. Next trip, I'm going to do it again when I come with different people”.